Your league RECEIVES a complimentary team photo for each player. YOur player must complete and turn in an order form to RECEIVE your complimentary package. 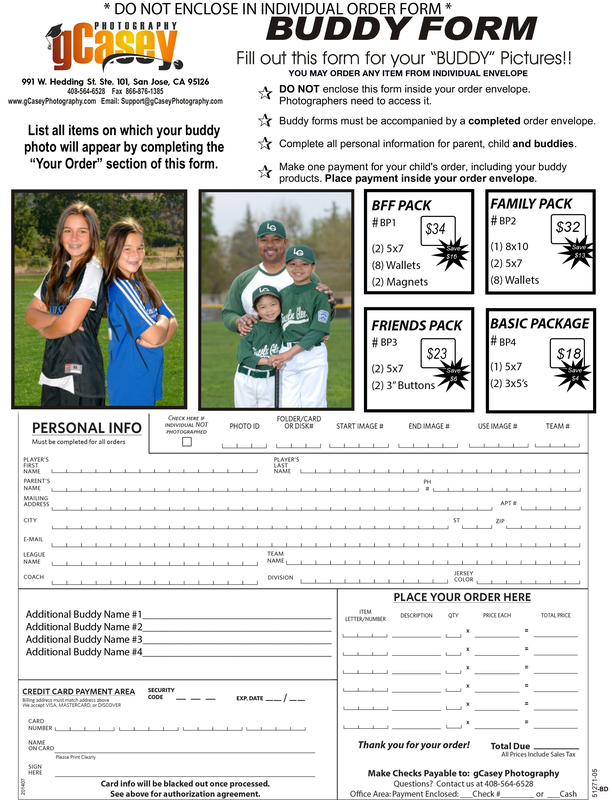 every player must have a completed order form (with or without an order) in hand to be photographed. no order form, no photo.